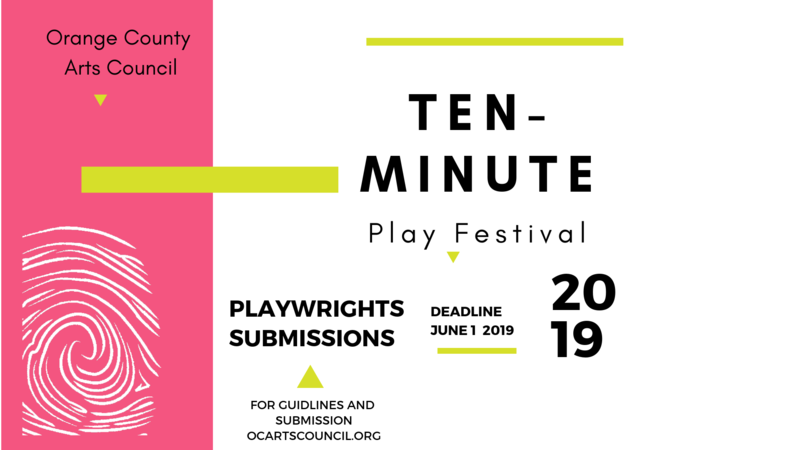 The Orange County Arts Council is proud to announce it’s third annual Ten-Minute Play Festival. Submissions are now open for anyone who would like to participate. 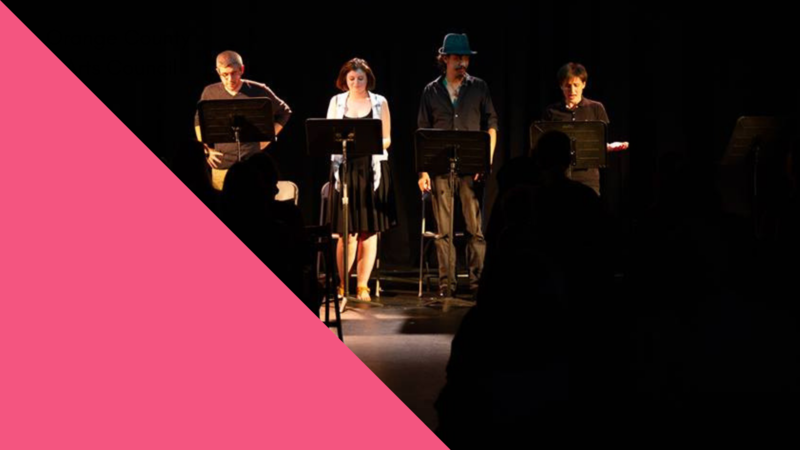 The reading committee will select ten plays for a reading on August 1 & 2. The deadline for submission is JUNE 1 2019 Playwrights will be notified in early June. The Ten-Minute Play has become a popular form of production. A Ten-Minute Play is a play, not a scene or a skit. Structurally, it should have a beginning, middle and end–just like any good one-act or full-length play. Reach beyond the surface and enriched text with subtext. Since we only have ten minutes to bring the story full circle, characters should be clearly established and a dramatic conflict should be posed as quickly as possible. The resolution of that conflict is what plays out across the remaining pages. The true success of a Ten-Minute Play is reliant on the writer’s ability to bring an audience through the same cathartic/entertainment experience that a good one-act or full-length play accomplishes–i.e., sympathetic characters with recognizable needs encompassed within a resolvable dramatic conflict. Ten minutes means 7 or 8 pages, certainly no more than 9 or 10. Use standard play writing format, 12 pt Times New Roman font. While not wanting to hamper anyone’s creativity, recognize that a Ten-Minute Play will undoubtedly be presented in an evening of Ten-Minute Plays. Therefore, overly elaborate settings, multiple characters, extravagant productions values, etc., could conceivably eliminate your play from consideration.